UFO SIGHTINGS DAILY: Huge UFO Over Cleveland Lake Erie Awaits Humans To Respond, Aug 3, 2016, Video, UFO Sighting News. 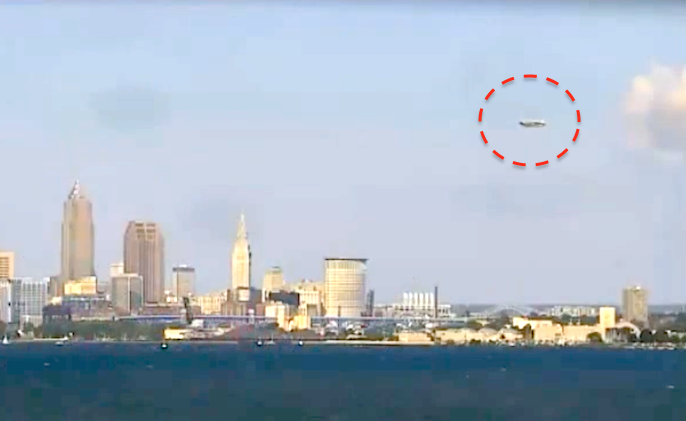 Huge UFO Over Cleveland Lake Erie Awaits Humans To Respond, Aug 3, 2016, Video, UFO Sighting News. The UFO, after making a presentation flight exhibiting from all angles, parked waiting for human response. 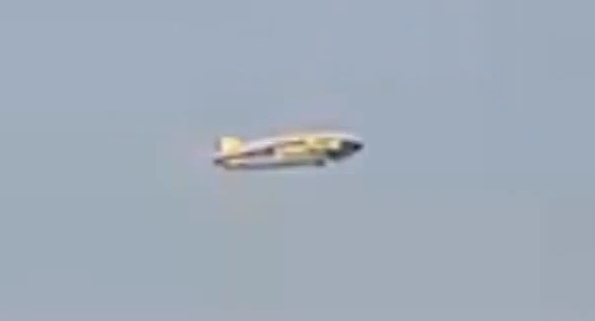 This UFO was discovered over Cleveland yesterday on live cam by Orlando Bosca of Youtube. 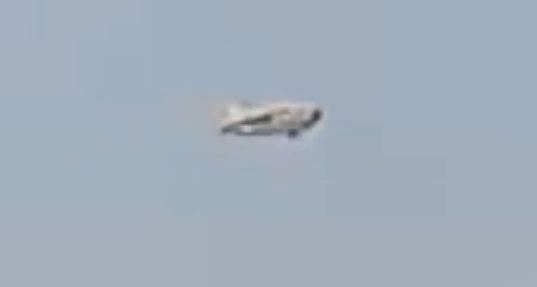 The UFO has a tail area and seems to have slight wings on the edges, but its difficult to say since the focus of the cam is a bit blurry. This is not a blimp. This doesn't have the normal upper and lower back tails that blimps usually have. Also this object does not have the 3 tail wings that the Good Year Blimp has. This UFO is thinner and longer than the Good Year blimp. Also the front section is much thinner and seems to be a separate section than its bottom area. Quite remarkable catch.